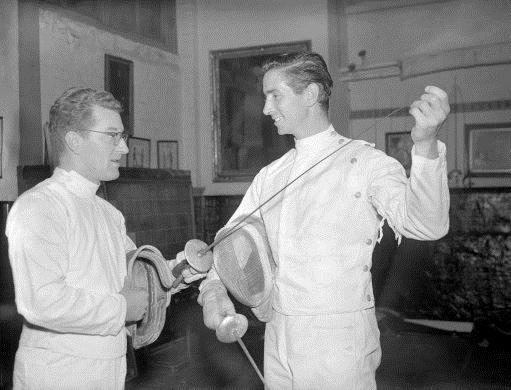 Bob Anderson joined the Royal Marines and won several combined services titles in the sport of fencing. He served in the Mediterranean during WWII. As a competitive fencer, he represented Great Britain at the Olympic Games in 1952, and the World Championships in 1950 and 1953 in the sabre event. He finished tied for fifth in the team sabre event at Helsinki in 1952. After his retirement from fencing competition, he studied under Roger Crosnier and was appointed the first official British National Coach. During the late 1950s through the 1970s he travelled around Britain, and between fencing courses he combined his official duties with television and film work. Eventually emigrating to Canada, he went on to become technical director of the Canadian Fencing Association in Ottawa. During the 1960s and 1970s he was also the president of the British Academy of Fencing. Anderson’s cinema career began in 1953 when he choreographed fights for and coached Errol Flynn in The Master of Ballantrae. 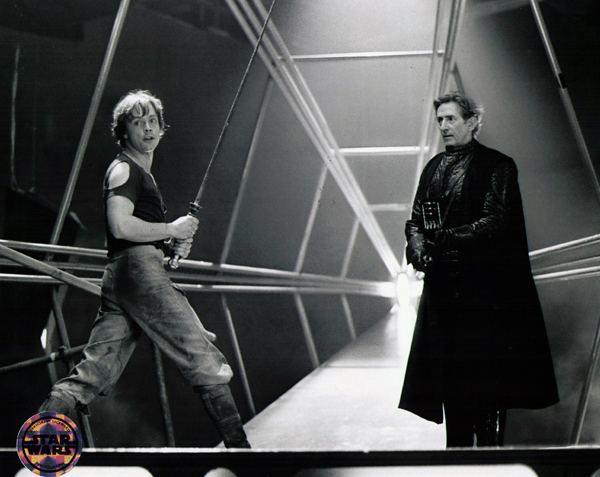 During rehearsal for a scene he accidentally slashed Flynn on his thigh, leading to notoriety in Hollywood as “the man who stabbed Errol Flynn”. He went on to work as a stunt performer and/or fight choreographer in films such as The Guns of Navarone and the Bond films From Russia With Love and Casino Royale. His stature in Hollywood was cemented when he was selected by Stanley Kubrick in 1974 to act as the sword master for Barry Lyndon. On New Years day 2012, Anderson died in a West Sussex hospital at the age of 89. 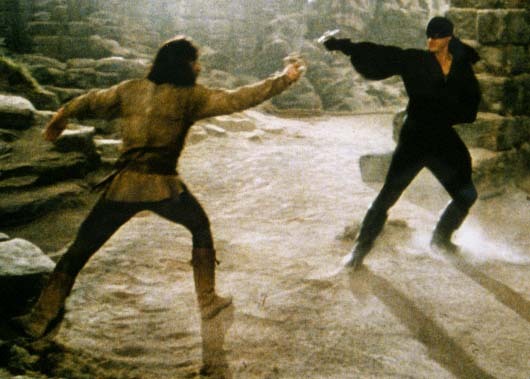 Though he is no longer with us; whenever anyone watches Star Wars and enjoys the fight scenes with Darth Vader, whenever someone sits riveted by the fight scene between Inigo Montoya & Westley on that high rocky cliff overlooking the ocean, whenever anyone sits in enjoyment of his craft, his memory lives on. This guy was awesome! 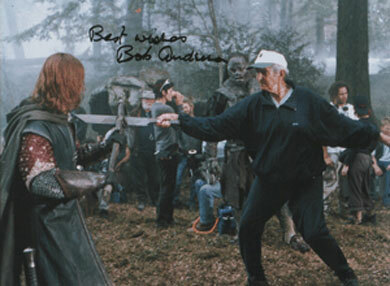 I loved his bits on the LOTR behind the scenes and he inspired me to take fencing lessons for a few months. It’s so much fun and I hope I can take it up again sometime. Great post! Thanks. I’m glad you enjoyed it. I didn’t know about his death till a friend of mine told me about it. 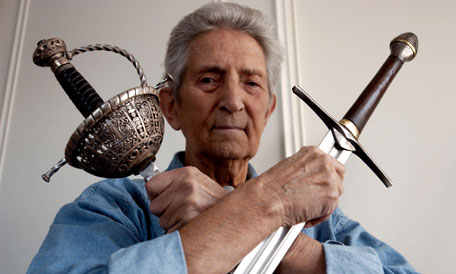 I used to do swordfighting at renaissance fairs, and Bob Anderson was one of my main inspirations. I tried to mimic his choreography, and I’m so deeply saddened by his passing. Great post. It’s always a shame when legends die, but thankfully they always live on in their fans. I’m glad you enjoyed the post. Great share! What a life and contribution to the genre of fantasy!